What kind of food should I feed my dog? This is a question that I get asked on a daily basis. When I go into the super market or pet store, there are so many choices nowadays. When I was a kid, we gave our dogs’ gaines burgers, milk bones, and kibble from the super market. Our dogs lived a long time and seemed to enjoy their over processed and artificial space age food. Things have changed immeasurably with dog and human food awareness in the past 35 or so years. We don’t want chemicals and processed food for us, or our animals. Some of us want holistic and organic food for our pets. 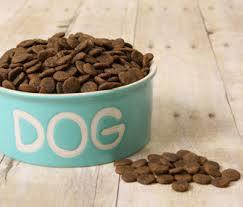 Some of the dog food out there is human food quality. Unfortunately, that also means human food prices. We now also have to beware of pet food made in China with sub par and or potentially toxic ingredients. Being that most of us aren’t dog food nutritionists, reading the ingredients on the labels doesn’t really help much. There are new freeze dried meat companies popping up every day. If you do use the freeze dried raw food, make sure to hydrate it with lots of water and let it sit for at least 15 minutes. I also tend to add a wee bit of goats milk in with the food. It helps with digestion and dog’s seem to dig it. Some trainers I know use raw freeze dried meat for treat training since dogs seem to respond well to it. Another option is buying freeze dried dogfood base, like Honest Kitchen and then adding some fresh meat. Different dog breeds prefer different food. I always try to think of what the dog would eat in its natural habitat and get food that mimics that. For example—if you have a husky– it would most likely be eating salmon in the wild. 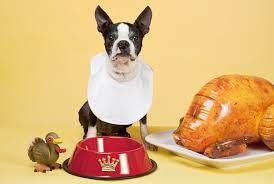 Some dogs are picky, or have various digestive and allergy issues so you may have to contend with that. You can consult with your vet to see what they recommend. Very often they will recommend something from their office that most likely won’t be an organic choice—but you can always ask which meat protein would be the most agreeable for your breed of dog. I have found that most vets are pretty vague due to time constraints, but once in awhile you get someone who takes the time to give you some solid advice. You can always look online for forums for your dog breed and if you poke around you can find some good feeding tips on there. 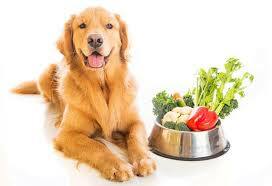 One thing that is important about dog food is the percentage of protein, fat, vitamins, fiber, and omegas. I got some really good advice from this website: http://www.reviews.com/dog-food/ and have put some of their info down below as well. If you want to buy your food from a pet store or online here is a handy dandy guide for you. GRAINS AND FILLERS: wheat, soy, corn, and beet pulp (isn’t toxic—but is in a lot of food and is becoming controversial because some dogs cannot digest it well). There are plenty of grain free options out there and it usually says it on the front of the product. UNHEALTHY CHEMICALS: Propylene glycol, BHA, BHT ethoxyquin, and sodium selenite. MYSTERY MEATS- When the label just says “Meat-meal”, “meat”, or “by products”. You should steer away from it. ANYTHING FROM CHINA OR RENDERING PLANTS-These can include mystery meats, weird additives, and other things that you would not want to give your pet. China does not have well regulated plants. You definitely want food made in the USA, Canada, or Europe. CERTIFIED ORGANIC-This is a quick way to avoid a bunch of hormones and antibiotics. When something says holistic, it doesn’t mean so much if it isn’t organic. It is worth the extra cost to get good ingredients. There are many high-quality brands of dry kibble available on the market as well. Here is a great list of the top 10 rated dog foods with healthy well balanced ingredients by reviews.com. They don’t include some other smaller brands of dehydrated raw food and raw foods—but if you don’t have time to make your own food or go raw–you can’t go wrong with this list.